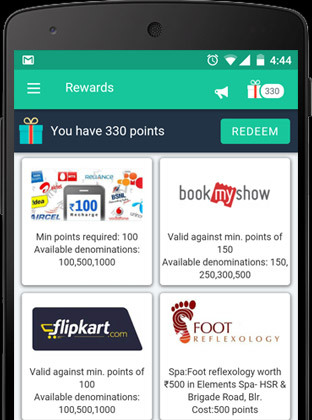 Nanolocal Technologies Pvt Ltd, which runs rewards app Bounty, has raised an undisclosed amount in seed funding from Fireside Ventures, Mumbai Angels and MAPE Advisory Group. Basab Pradhan, former global sales and marketing head of Infosys, and Apurva Salarpuria of property developer Salarpuria Group also put money in this round. Bangalore-based Bounty was founded seven months ago by Satish Medapati, an alumnus of NIT Trichy who has previously worked with BPO firm Genpact and banking group Emirates NBD. The Bounty platform works by letting users earn rewards each time they check in at a Bounty-recognised business location. It also lets retail businesses promote their offers through personalized and targeted campaigns. Medapati said that "nanolocal commerce" is about information that is predictive, real-time and contextual â€“ providing customers what they need at the right location, just in time. He added that brands need to personalize offers, services and experiences to suit a consumer to drives sales and that Bounty offers a platform for brands to reach out to consumers in a cost-effective way. Kanwaljit Singh, founder of Fireside Ventures, said that omni-channel consumer experience is beginning to take shape globally and Bounty is working towards making consumer life easier through data sciences and technology. "The global market potential is very high and Bounty's traction has been great," he said. The company claims its downloads grew 14 times in the last six months and check-ins by users rose 25 times. The deals space is dominated by players such as Rocket Internet-backed CupoNation, Info Edge-backed MyDala, Shop Pirate, CashKaro and CouponDunia. Bounty Fireside Ventures Nanolocal Technologies Pvt. Ltd.